New and Exclusive townhouses. 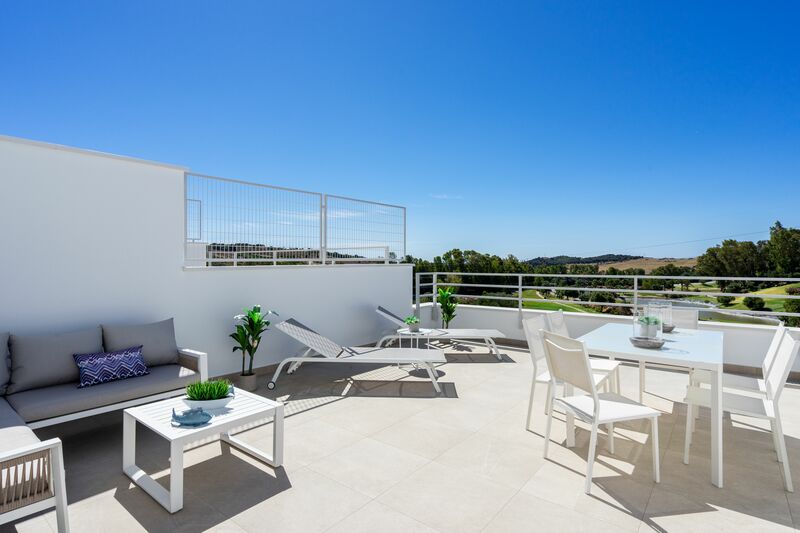 Located in Estepona Golf, which is in the heart of Costa del Sol, overlooking the golf, SW facing with some sea views and near to facilities. 48 modern townhouses build in three phases, first one with delivery November 2019. They have 3 bedrooms, 2 bathrooms and a guest toilet. 222 m² built and 55 m² terraces. All homes in first phase have parking and a large private basement for storage. Gated and private community with swimming pool and garden areas, designed with a contemporary style.